Once your product has reached working temperature, seed it with the appropriate amount of the cocoa butter silk produced by EZ Temper and within two minutes it will be in perfect temper and ready to use. With perfect temper guaranteed your product wastage will be reduced. Using the cocoa butter silk produced by EZ Temper will allow you to work at higher temperatures and thus adjust the viscosity of your product. This enables you to pour thinner shells or use less product when enrobing. With EZ Temper, you can reduce your product costs by making gianduja in your own facility. Just add melted chocolate to hazelnut paste, cool, then add the appropriate amount of silk. Immediately you can mold, fill pails, or produce bars. 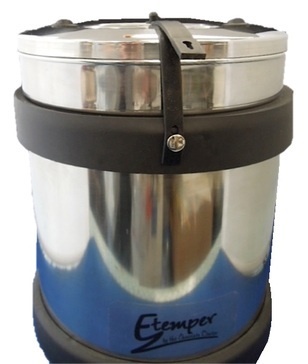 If you are using a ganache in your product, EZ Temper will allow you to quickly and economically temper your ganache. Upscale chocolatiers know that a tempered ganache has a better mouth feel, a longer shelf life, and is less likely to cause bloom. With the cocoa butter silk produced by EZ Temper, your tempered ganache can be cut within hours and dipped the same day. With the silk you can make bean-to-bar chocolate mass without additional cocoa butter and/or lecithin and it will allow for almost instant pre-crystallization of the mass for molding of bars or filling of pails. The Chocolate Doctor is proudly Canadian, but we want to share the EZ Temper with the world. 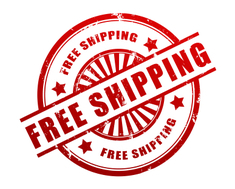 That's why we offer free national and international shipping with Canada Post at no extra charge. The EZ Temper Cocoa Butter Pre-Crystalizer arrives May 1st! We're so excited about this revolutionary new tool for chocolatiers that we're taking $100 off when you pre-order. Hurry - this special offer ends midnight, April 15th, 2015. 1) Unbeatable Value - At $999 USD, the EZ Temper Cocoa Butter Pre-Crystalizer is an easily-affordable tool for tempering all kinds of chocolate. Plus, for a limited time, save $100 when you pre-order & get FREE shipping anywhere in the world. Just $899 for this amazing, time-saving tool. 2) Versatile for All Kinds of Chocolate - The EZ Temper "silk" allows you easily and professionally temper chocolate, ganache, gianduja and more without separate appliances, utensils or add-ons. Now you can tackle multiple types of chocolates in a single day. 3) Buy Direct From the Manufacturer - Purchase directly from the manufacturer without retail mark-up, and avoid import duties and customs fees (in Canada). 4) Convenient, Kitchen-Friendly Size - Because the EZ Temper only requires treatment of the cocao butter, instead of the whole chocolate for tempering, it's space-requirement is a fraction of larger machines, leaving more room for moulding and decorating chocolates. 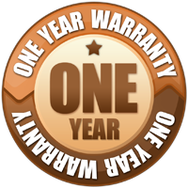 5) Comprehensive 1 Year Warranty - The EZ Temper is backed by a comprehensive 1 Year Manufacturer's Warranty, allowing for repair or replacement of any defective unit for a full 365 days after purchase. 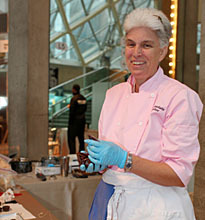 "The EZ Temper Cocoa Butter Pre-Crystalizer evolved from working with chocolate and teaching chocolate classes for over 15 years. I started out using a small electronic tempering machine, but the noise it made was unbearable and the small quantities that could be tempered limited my ability to accomplish all the tasks I planned. I needed another way to temper. The EZ Temper is my solution to fast, affordable, professional chocolate tempering results in the shortest time possible." Your EZ Temper Cocao Butter Pre-Crystalizer is a quality machine, designed in Canada. This exceptional tool for chocolatiers is backed by a full 365 day warranty against defects in materials or workmanship, with repair-or-replace guarantee that gives you peace of mind. Don't Forget - Pre-order before April 15th to get $100 off PLUS free world-wide shipping.